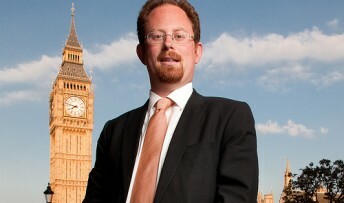 Cambridge MP Julian Huppert is optimistic that the Chancellor’s announcement of a fairer funding formula for the nation’s schools could bring long-awaited extra cash for Cambridgeshire. Julian has been campaigning for years to get more money for the county’s pupils and hopes that the announcement from George Osborne will bring good news. “I have fought hard for this and it was good to hear the Chancellor finally acknowledge publicly that our schools and others across the country have been unfairly treated,” he said. Julian also welcomed the news that the Liberal Democrat’s Pupil Premium, which has been enthusiastically received in Cambridgeshire, will be protected and extended in the future. And he said that the government’s commitment to put more money into apprenticeships was good news. “This government has shown that it is committed to helping our young people get a fairer start in life,” he said. “Our education system and training opportunities for our youngsters are vital if they are to succeed in the future. A £1.1 billion investment in the capital science budget and a commitment to maintain the resource budget was also welcomed by Julian. More cash for the health budget to improve mental health services and cancer treatments and an extra £3 billion for the joint services provided by health and social care was a welcome move, said Julian. Julian also commended the government for its extra help for families with the investment in affordable housing and more money to support vulnerable families.